Race Takeaway: Setting a healthy family example is such a wonderful responsibility. 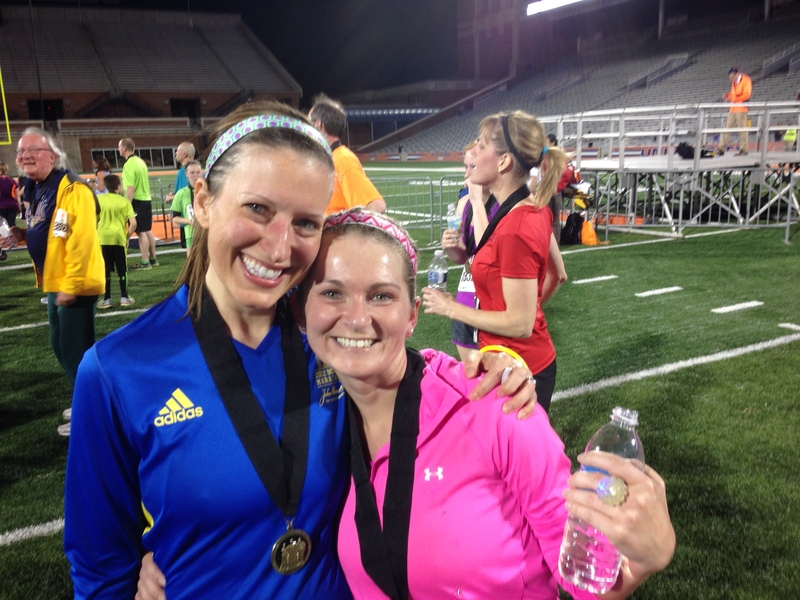 The We Care Twin Cities race weekend includes a 5K Friday night and 10K and Half Marathon Saturday morning. This race weekend almost didn’t happen for us. Chase was sick with hand/foot/mouth all week. She had just a couple spots and it never spread worse, thank goodness. But it was clear she was not herself and wanted to be held constantly day and night. It made for a very long week, which included me sleeping sitting up for 6 days straight. Needless to say I was drained. We just took each day as it was and decided if Chase wasn’t feeling well we wouldn’t be running. Thursday her spots were gone and she seemed to be getting back to herself. By Friday morning she seemed back to good and we took her to daycare to see how she did for the day. She had a really good day so we figured we would give the racing a try. 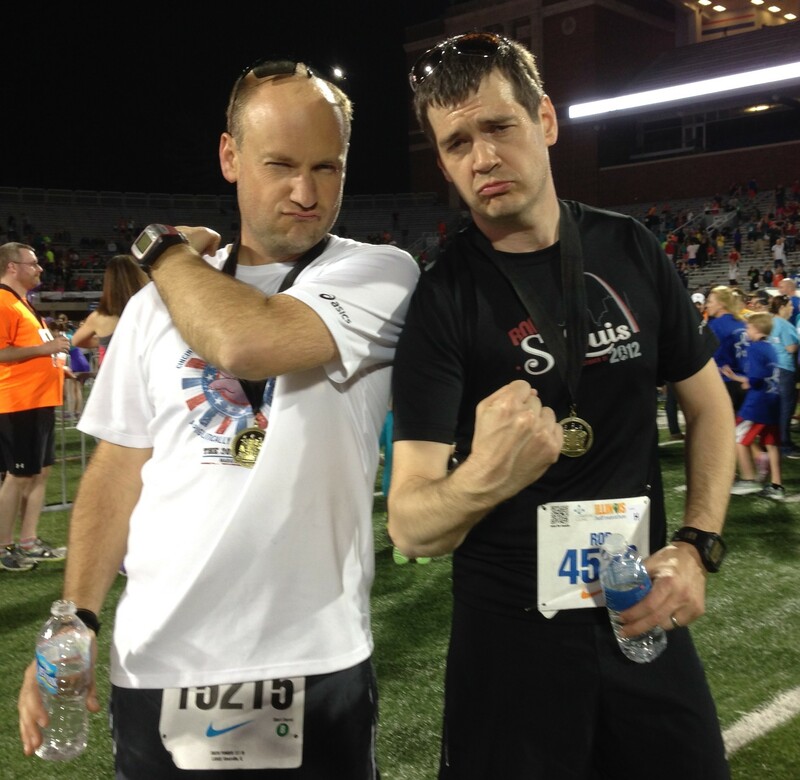 However, I was signed up for the half marathon and so was Drew. 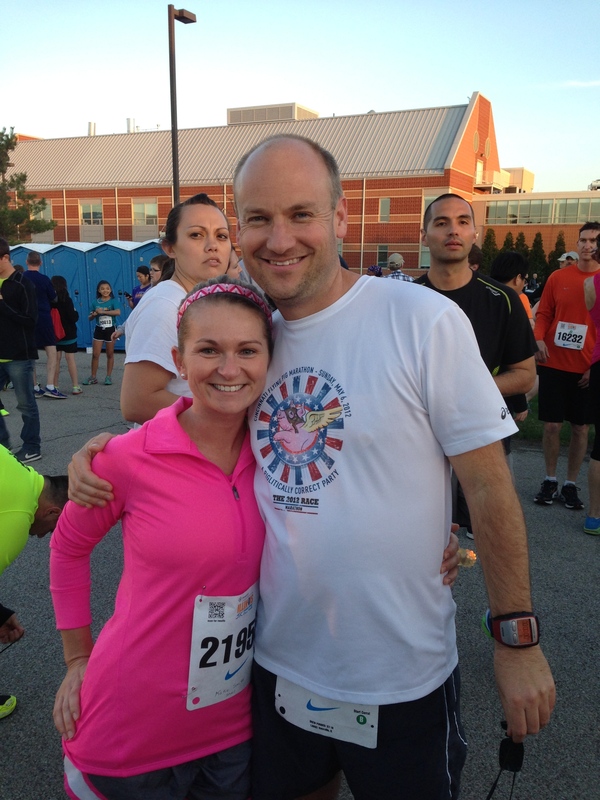 We decided that we would downgrade our races to the 10K and all run together instead. 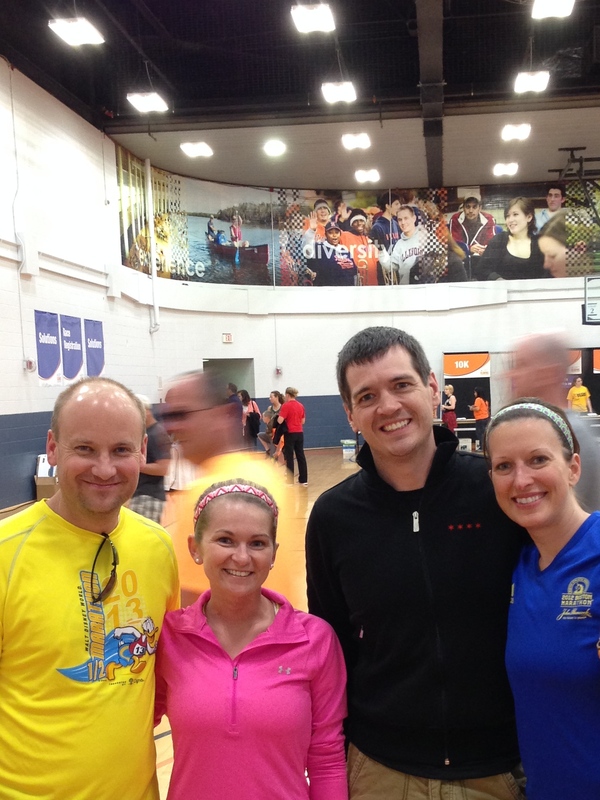 Friday’s packet pickup was at GE Park with the Kids Fun Run and 5K on the Constitution Trail. Packet pick up was easy and quick. This race revolves around energy management and environmentally friendly choices. Which meant that the race would also look for improvements, including having trophies from recycled/donated awards from any sport. Also, the We Care Twin Cities races would have the Hydrapouch for water stops, instead of cups. I’m all for environmentally friendly opportunities, but I’m not yet sold on these as a viable solution. 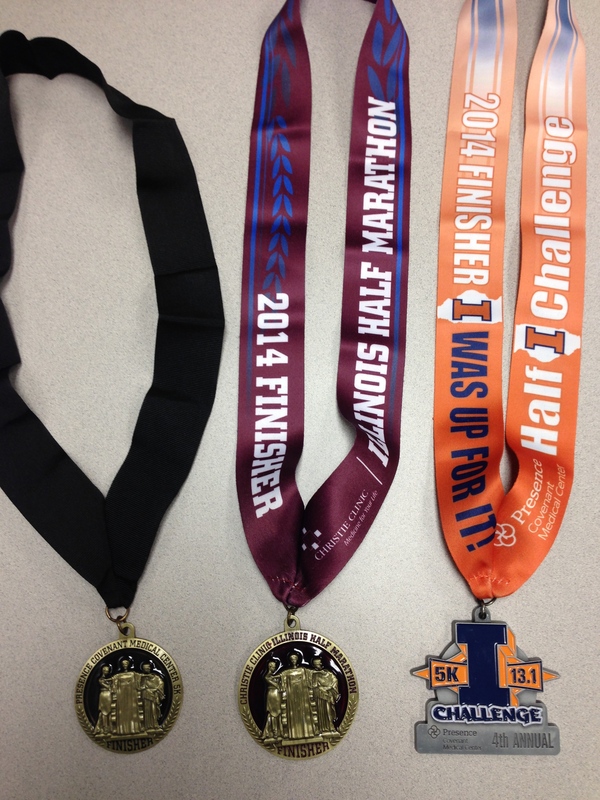 Each runner received one in their race packet. I haven’t looked into the carbon footprint to make one of these, but it just seems that this versus paper cups that this would be less friendly if you don’t use this for more than one race. I can’t imagine how many of these will get tossed in the trash and never used. Also, this is a self serve option, which seems depending on the size of the race would make for congested water stops. 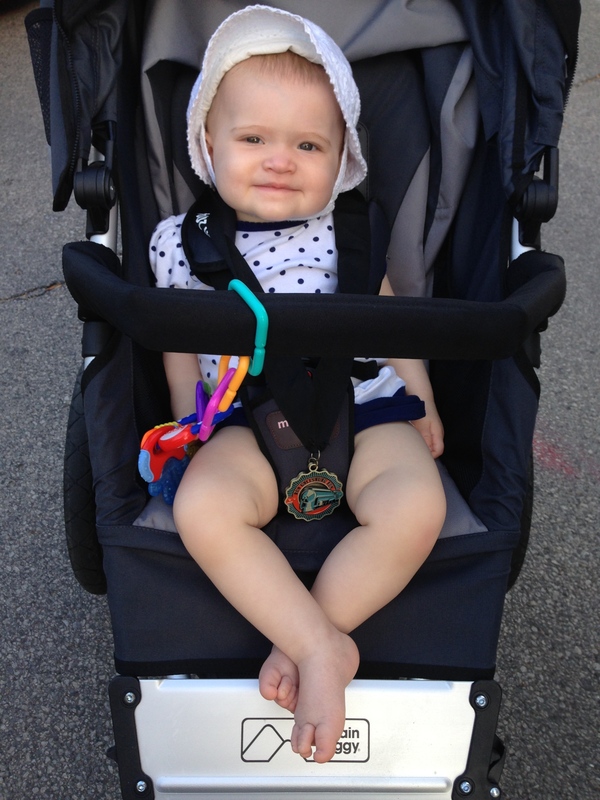 While that was not the case during our races, we brought our own water since we had the stroller to stow it in. So my question to you is, have you used these before in a race? What do you think? Why do you love them or hate them? Do you think these will become more popular at races? 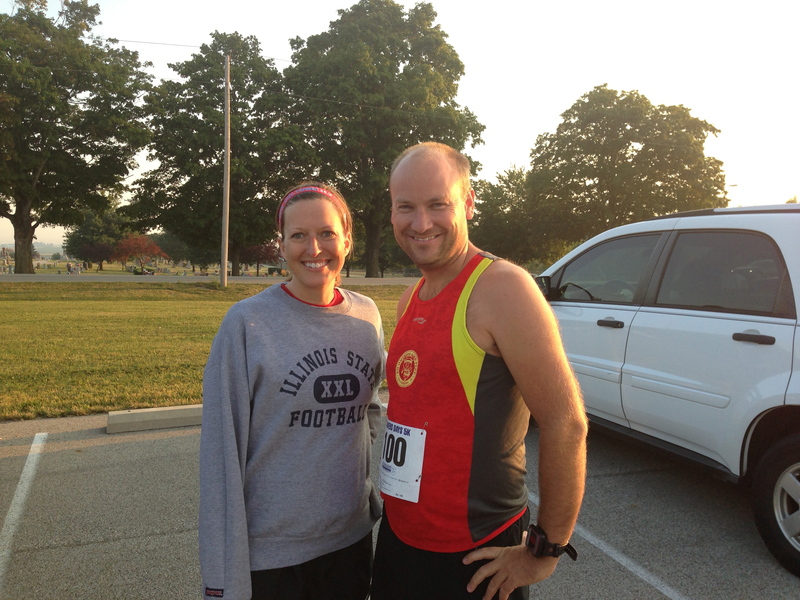 Us before the race that I posted on twitter. 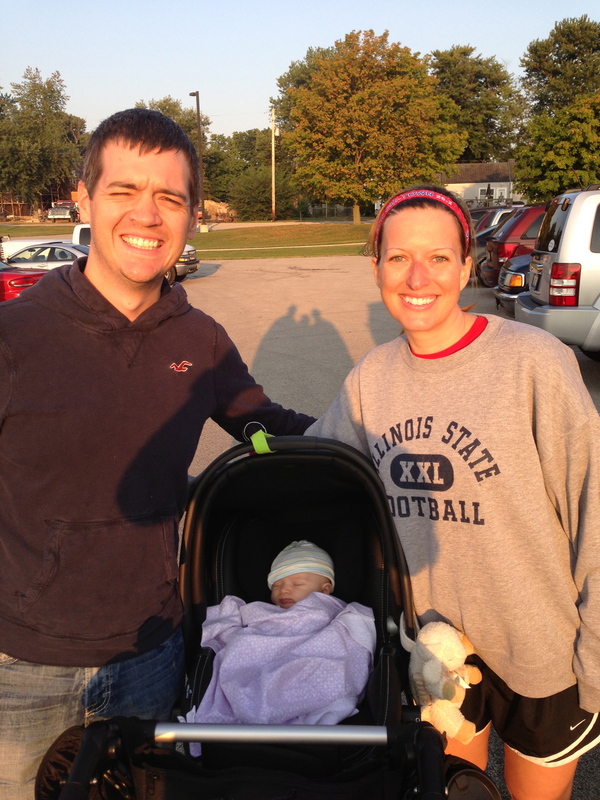 The 5K was a small field of people and we were the only stroller. We started in the very back. It proved challenging because the path of the Constitution Trail isn’t wide enough for even the smallest race, so it gets congested easily. 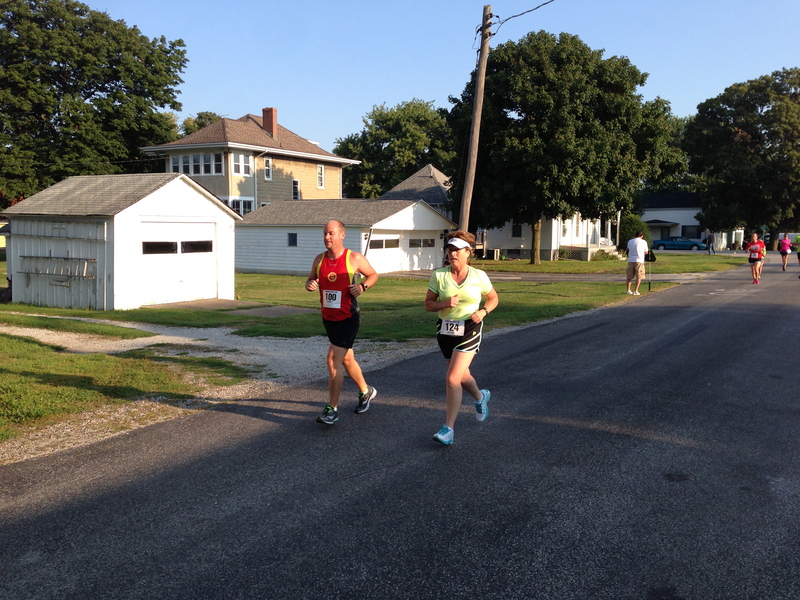 We carefully passed people when possible and finally got out in the open to set our own pace by Mile 1. The course winds through Tipton Park, which has sometimes caused race path direction confusion (more on that for Saturday’s race), but they had this course well marked with volunteers pointing the way. 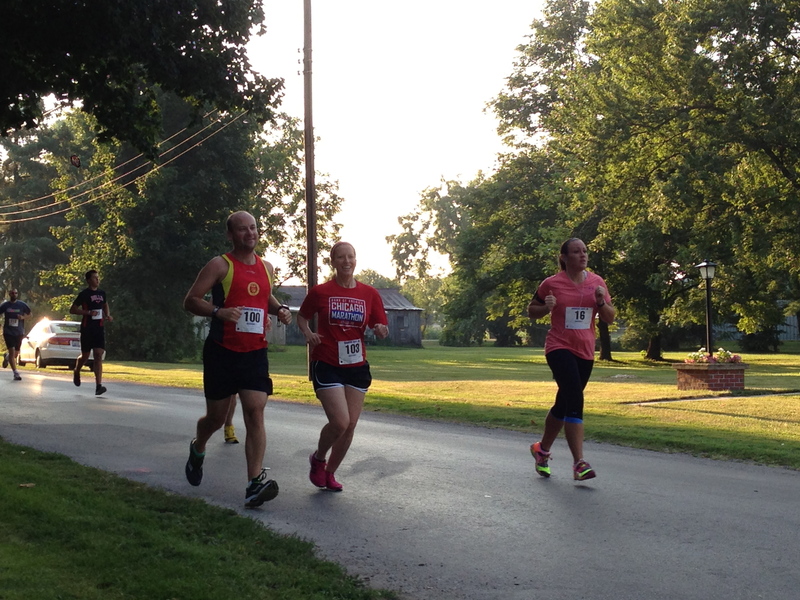 It was a perfect night for running and we really enjoyed this race. 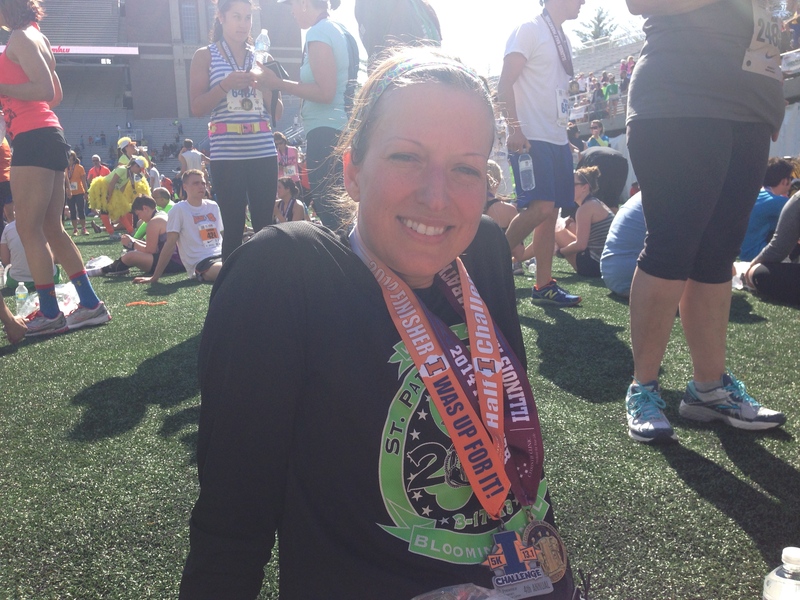 I pushed as hard as I could, even though I hadn’t been running and was so exhausted from the past week. I was able to fight through it and come out with 25:42, which was an improvement on my previous post-baby 5Ks and good enough for 1st in my age group and 3rd in Rob’s age group. We didn’t stick around for awards though. 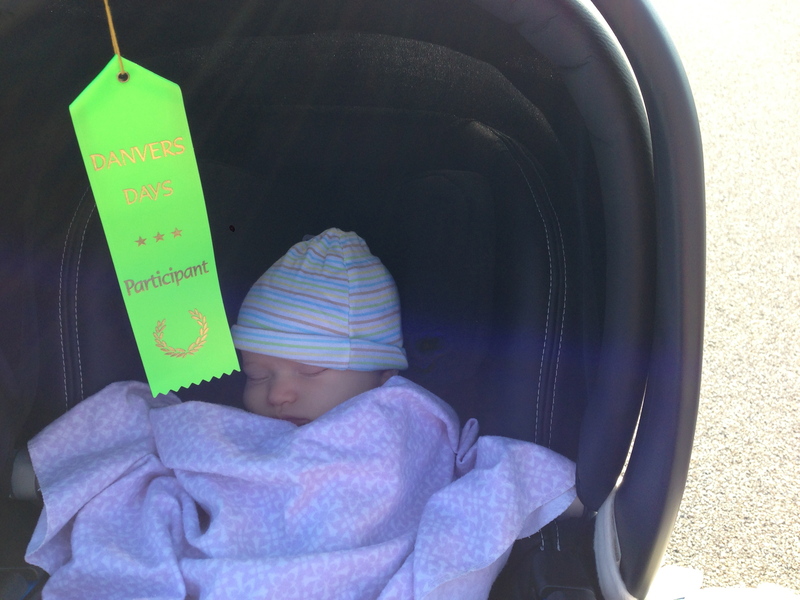 We haven’t done an evening race with Chase before and it was definitely getting close to her bedtime. So we got her home, fed, and ready for bed. Categories: 3-6M, 5K, Award, Baby, Race | Permalink. Race Takeaway: I’m not ready for inclines. This race is where I have my PR of 19:50 back in 2010. The course has quite a few turns as well as some small hills and inclines. 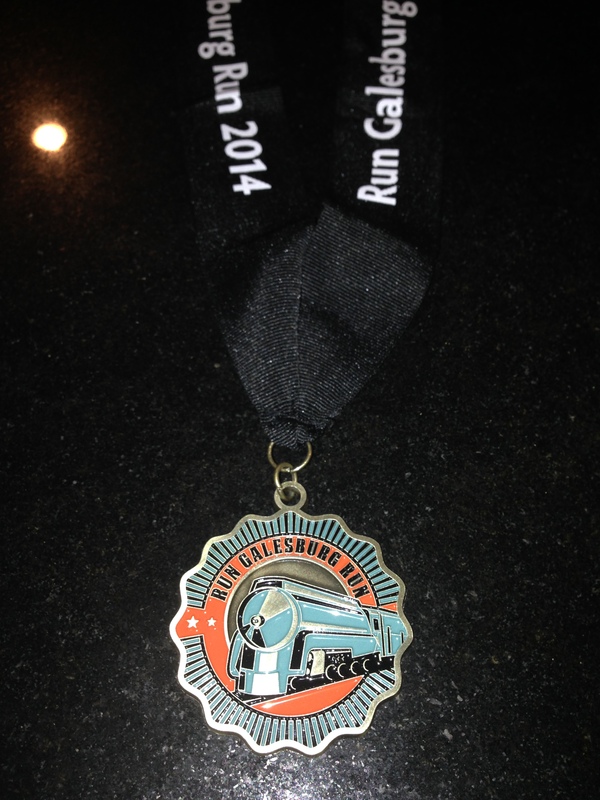 My goal for this race was to improve upon my time from last weeks race. Drew’s goal was to PR. 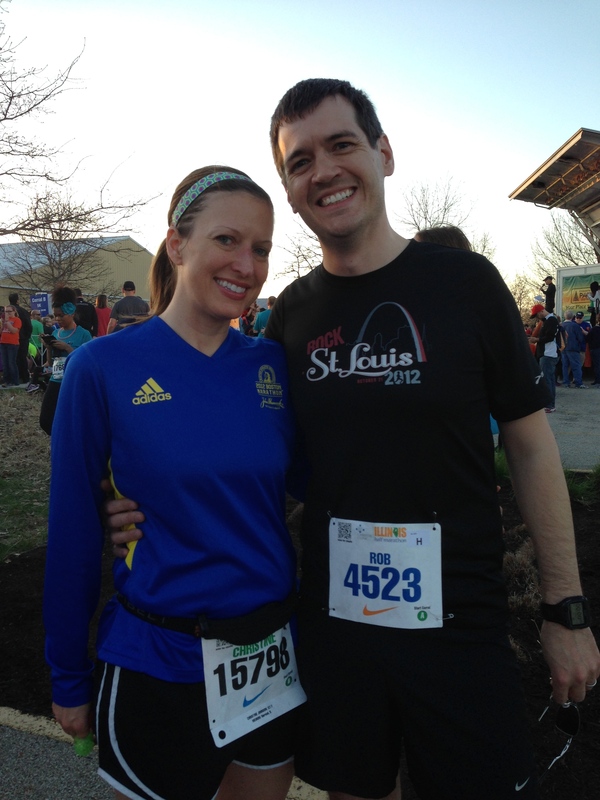 Our plan was to run together for the first 2 miles and then each of us give whatever we have left the rest of the way. We went out and did a warm up of 1.25 miles and then visited with friends before lining up. 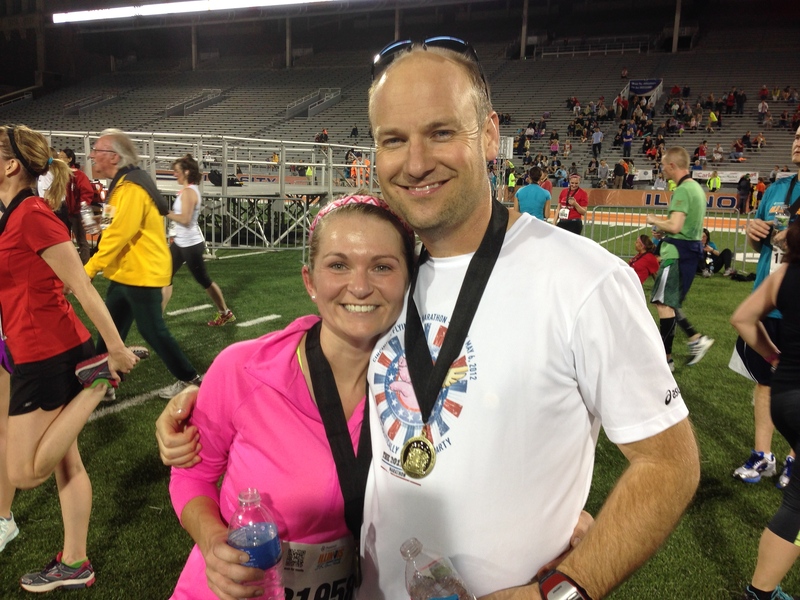 Our plan was to hold back the first mile and then kick it up about 15 seconds the second mile. It was hard to hold back and not get pulled into the excitement of the race, but Drew and I kept it in check. We came across the first mile as planned. Then the inclines start. I struggle through the first and already by the second my legs feel smoked. Drew pulls away from me just before mile 2 and is looking strong. The next set of inclines and struggle through it, unable to catch Drew in front of me. Drew finished in 26:48 and met his goal of a PR by taking of 7 seconds! I finish in 27:02 and didn’t make my goal of improving from last week. I get 2nd in my age group though. I’m bummed I didn’t do better, but I recognize that it’s going to take time. I just hope to still make Chase and Rob proud that I’m trying hard to keep improving. 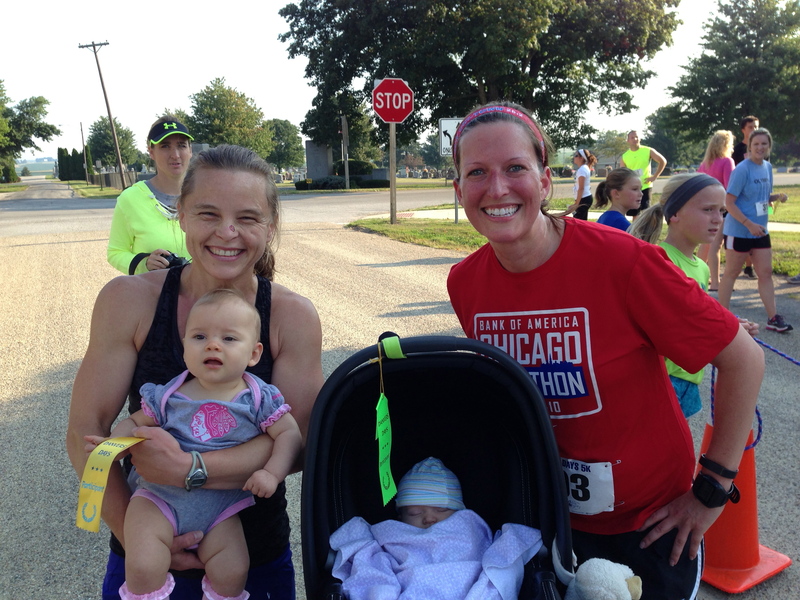 Brandi and her fiance ran with their 6 month old daughter in her stroller. 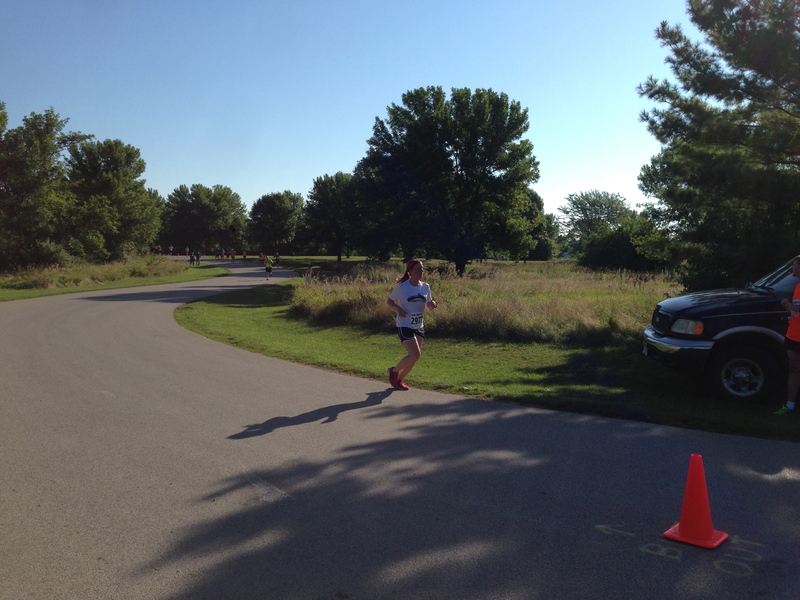 Brandi got 1st in our age group! Great job to Drew and Brandi!!! Categories: 5K, Award, Race | Permalink. Race Takeaway: Just get out there and get moving. 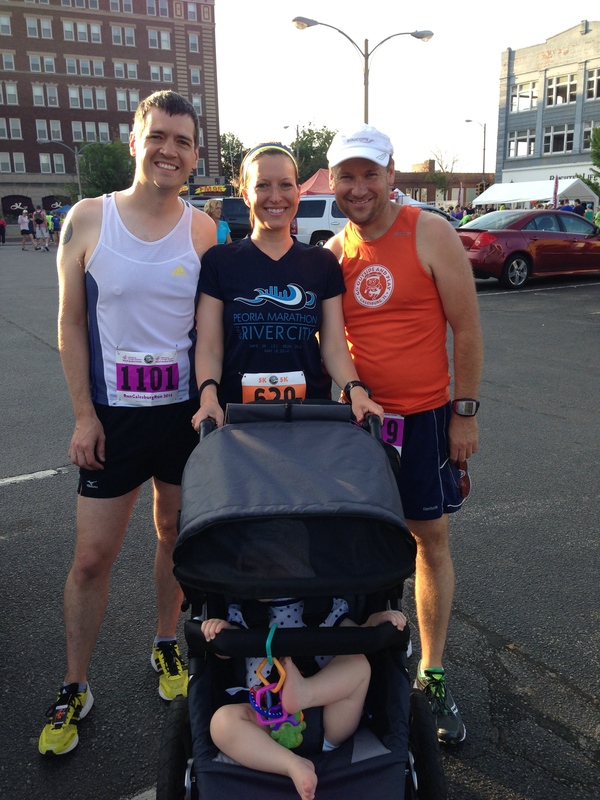 Saturday, August 10th I ran my first 5K since giving birth to Chase 8 weeks ago. I was in no way in shape to race so this would be just a chance to get out and have another workout. I’ve been running only when it’s worked with our schedule. Each run ranging from 2 miles to 6 miles, but with no consistency at this point. The weather was perfect, especially for August in Illinois. It was upper 60s / low 70s and sunny. This was also Chase’s first real outing with the public. 🙂 We didn’t have her out and held or touched by anyone since she still very young. She just hung out in her car seat that we attached to our Mountain Buggy Terrain. Rob and Chase watched me race since Chase’s head/neck strength is still developing and this course would have bumps in it as it crosses a gravel lot. It was nice to get out and see our friends and catch up on how their racing was going this season. I got in a 1 mile warm up beforehand. Then I lined up about middle of the group, knowing I wouldn’t be taking off very fast. Still my first mile was faster than I planned and I am still re-learning how to gauge my effort. This race is an out and back and is on a road that is exposed to the sun and it did feel quite hot halfway through. Rob got a picture of me coming back to the finish.